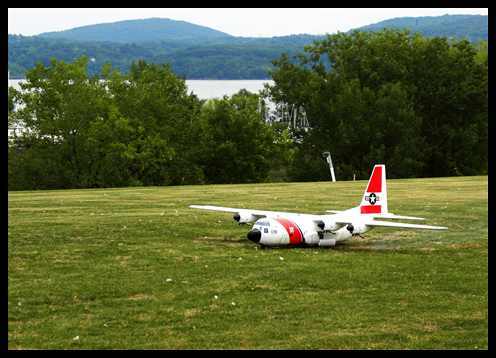 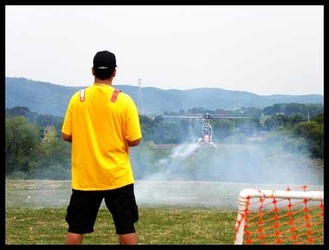 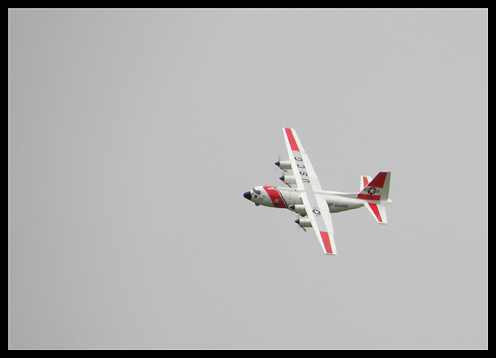 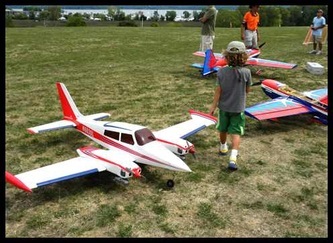 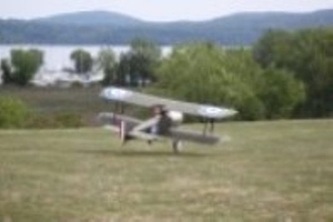 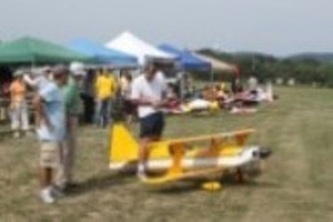 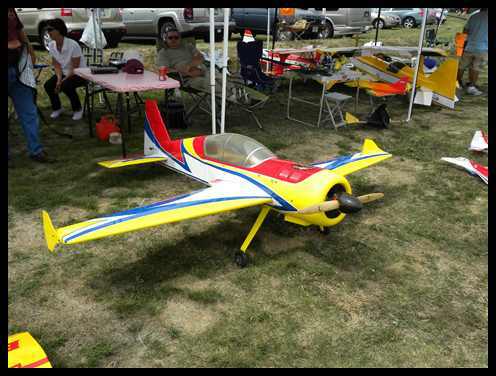 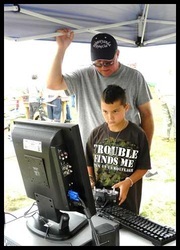 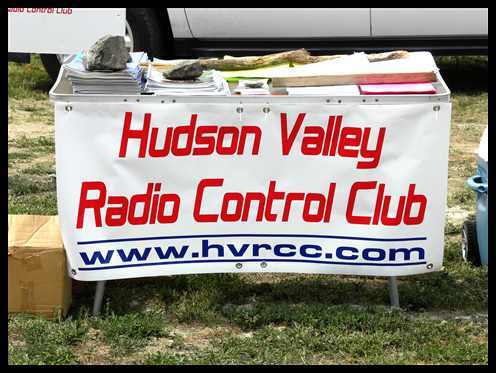 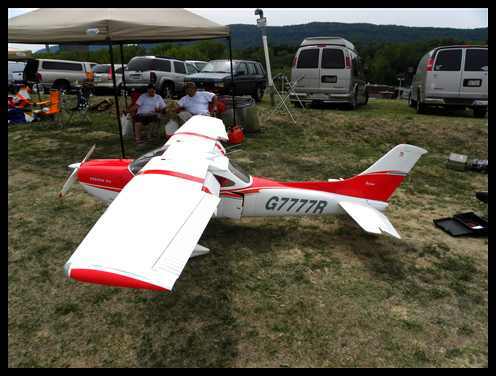 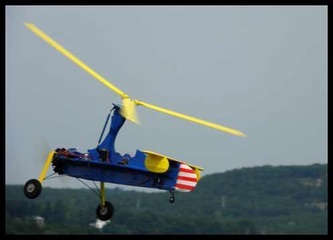 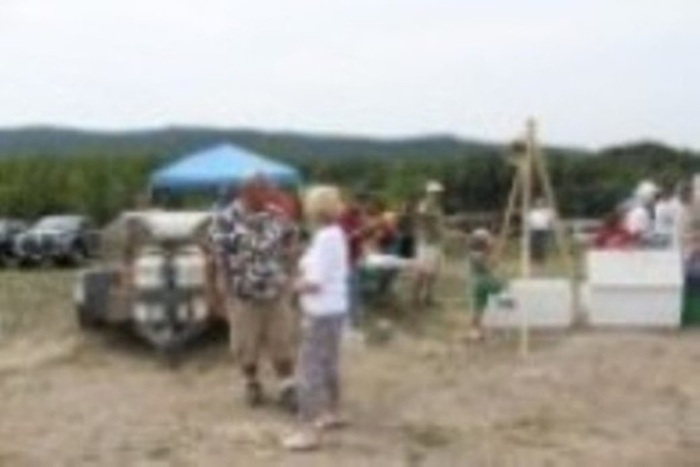 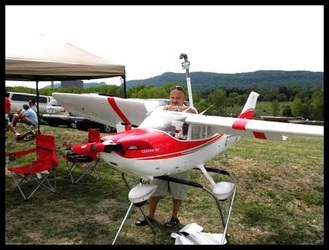 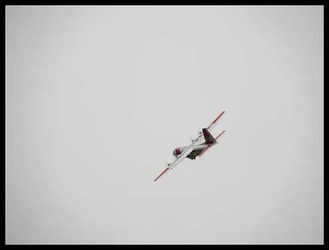 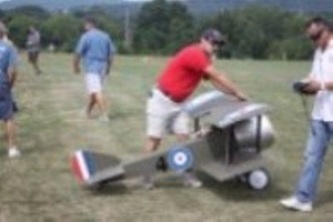 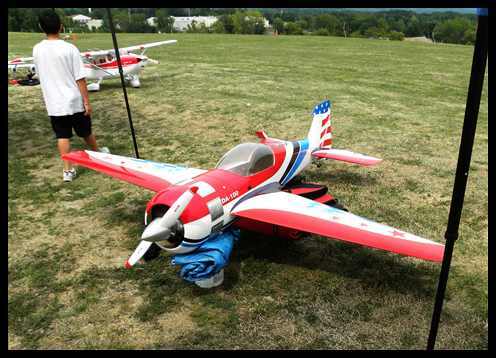 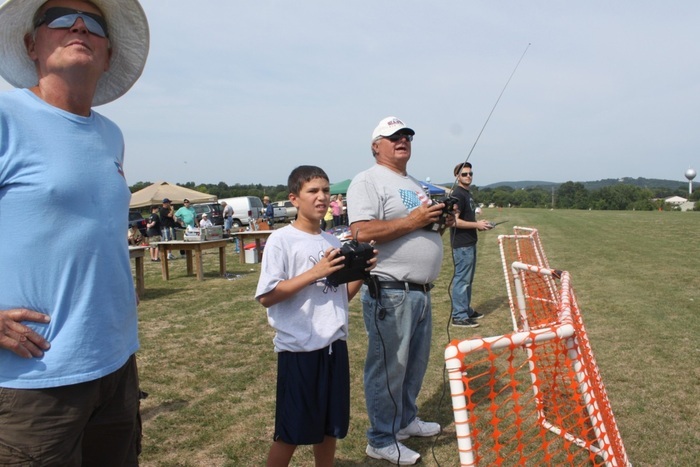 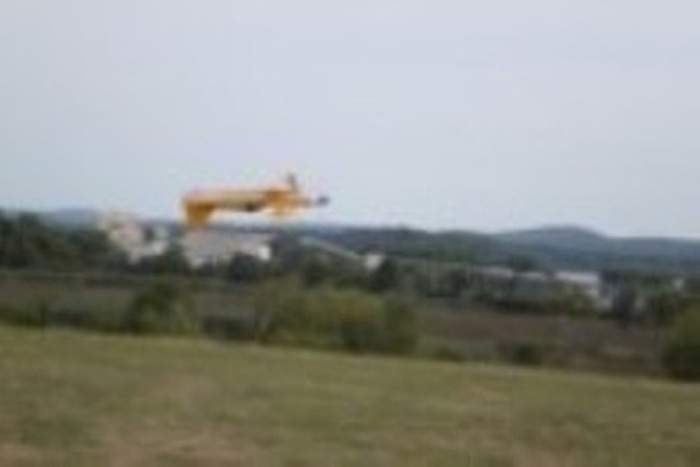 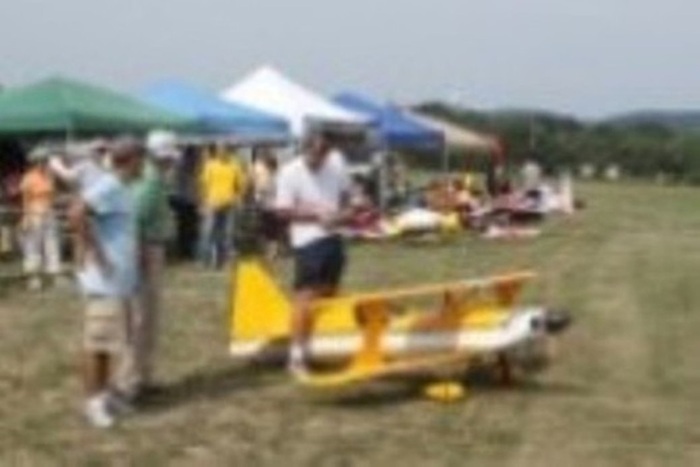 On August 21,2010, HVRCC held the first annual "Town of Haverstraw Air Show." 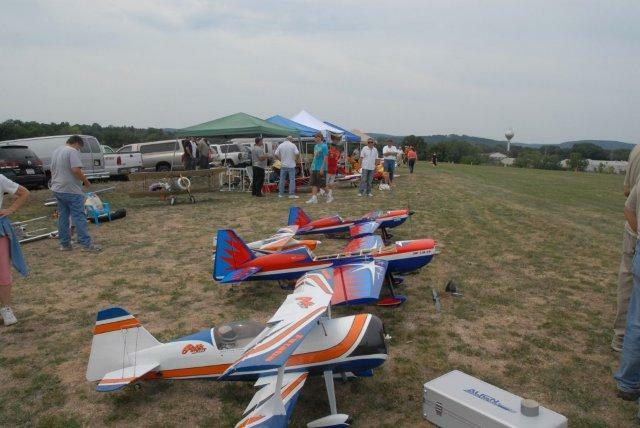 This was the club's first time inviting the public to the air field. In order to make the event a success, the club called upon some local resources. 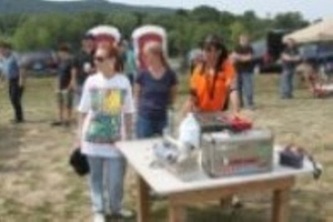 The Town of Haverstraw provided a free "HOT DOG LUNCH" for all who attended. 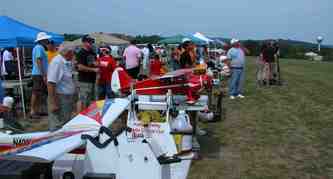 They also displayed large, colorful banners to advertise the event. 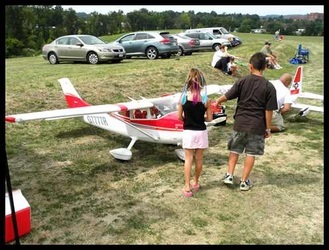 Haverstraw Transit, the local school bus company, donated a bright yellow mini-bus, complete with driver, to shuttle spectators from the parking lot of the Haverstraw Bay County park across the street to the air field. 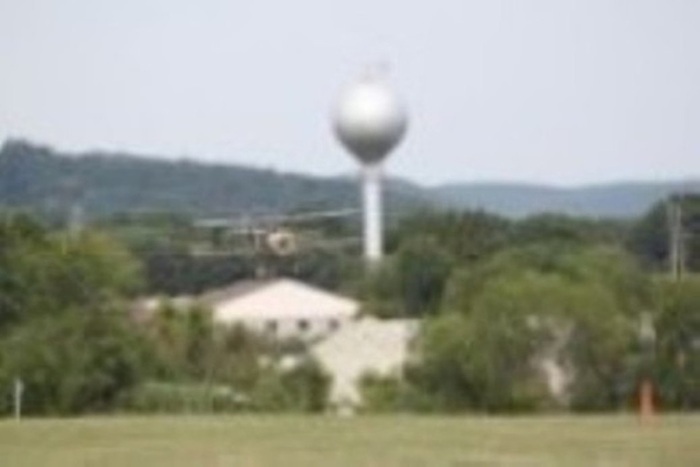 The Town of Haverstraw Police Dept. 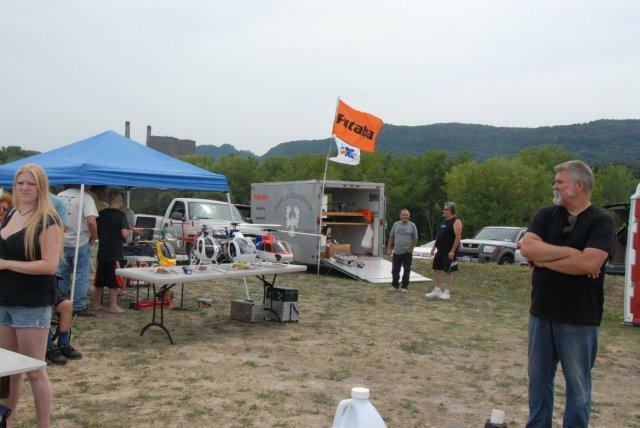 displayed their "DARE" car at the entrance of the facility along with a fire truck supplied by the David B. Roche Fire Department. 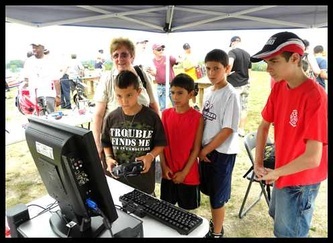 The Rockland County Sheriff Patrol set up their "SEAT BELT CONVINCER" to raise public awareness of auto safety. 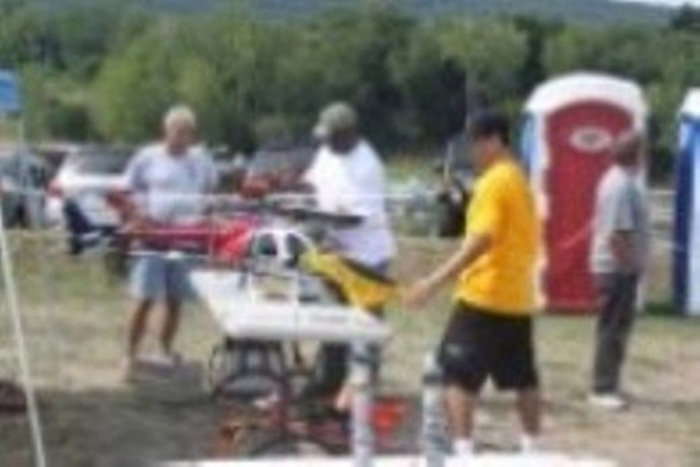 Haverstraw Volunteer Ambulance Corp. had a duty crew on hand. 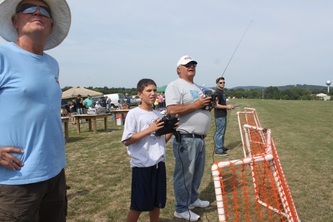 Thankfully, they were only spectatators for the day. 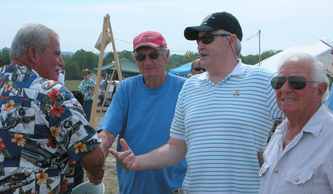 West Hhaverstraw Mayor John F. Ramundo Jr. came out with members from the Leo Laders American Legion Post 130. Town of Haverstraw Supervisor Howard T. Phillips Jr. was there with members of the Town Board enjoying the airplanes and helicopters flying againt the scenic backdrop of the Hudson River. It was because of Supervisor Phillips and the Town Board that the club was able to have such a beautiful home. 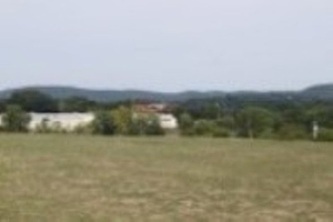 They were willing to give us a chance to use the landfill and, wow, has it worked out! 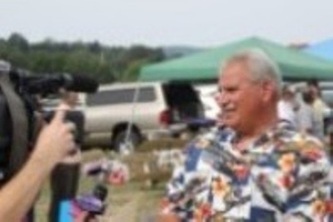 Mike Cotier, the Town's Director of Parks and Recreation, was a tremendous help. 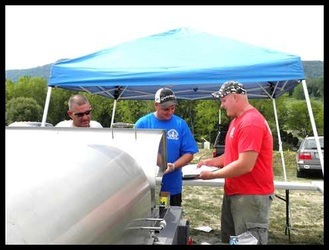 He and his staff kept a lot of hungry and thirsty guests happy. 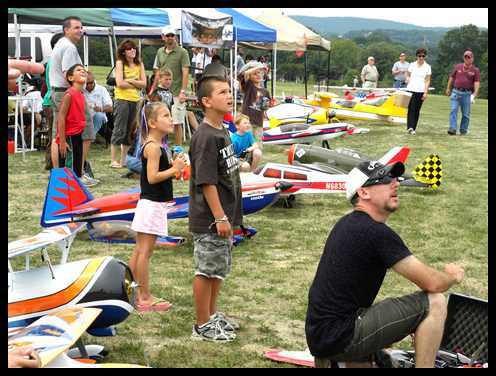 All of this, and we are not even talking about the airplanes yet. 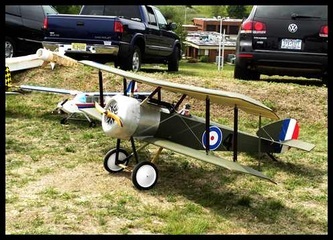 Okay...the airplanes. 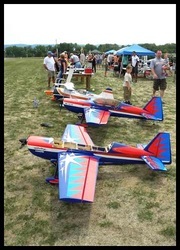 There were so many airplanes on hand that I would be hard pressed to pick a favorite! Richard Landis represented the Landis family. 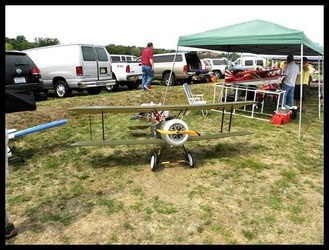 He had some four or five planes on display behind the flightline. Richard is also an accomplished pilot in his own right and performed for the crowds. We had pilots from other clubs as well. 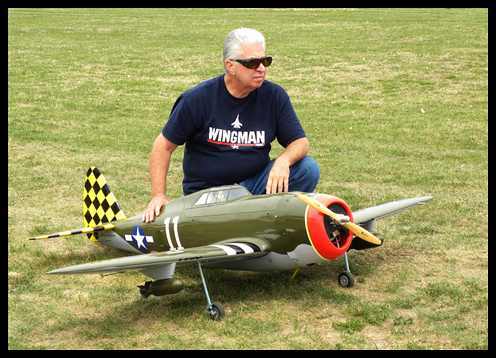 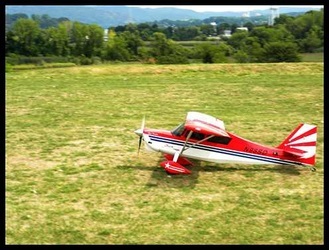 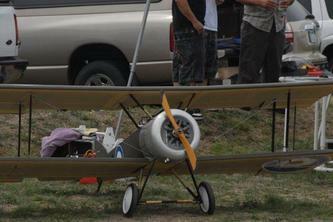 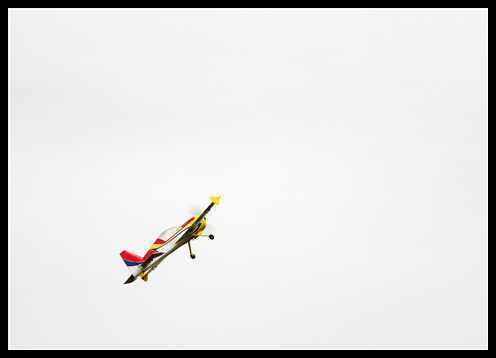 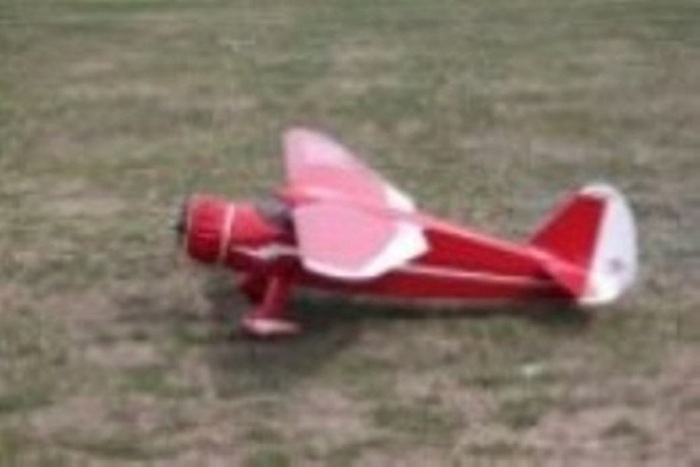 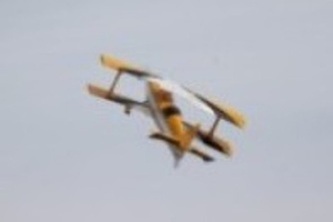 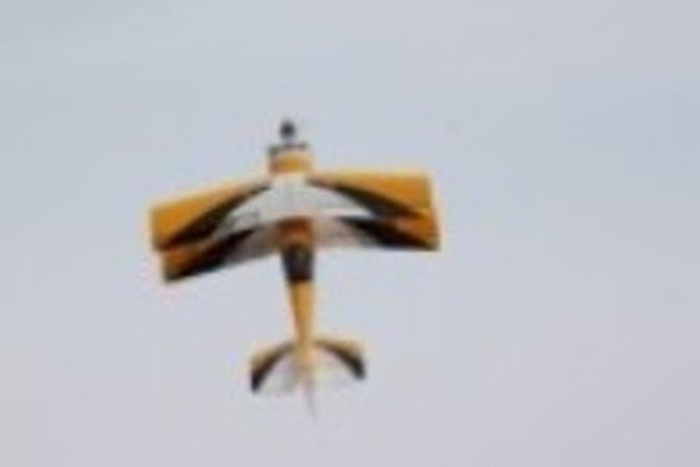 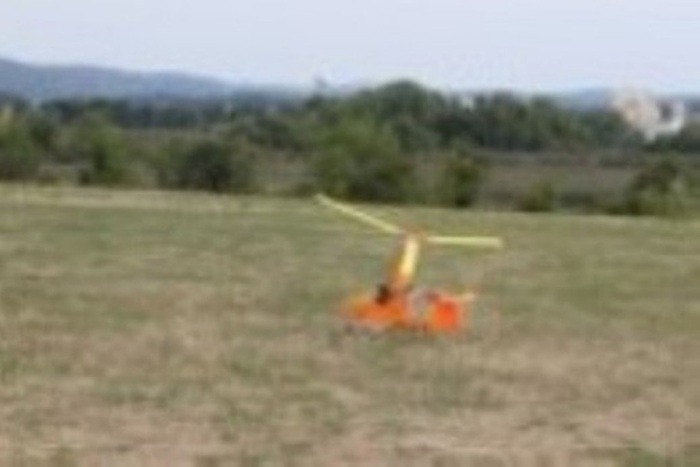 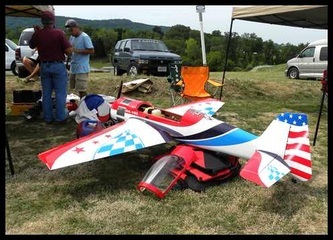 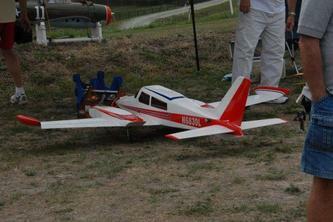 John Hagedoorn, the President of the Waywayanda Flying Club, took to the skies with a beautiful 100cc plane. 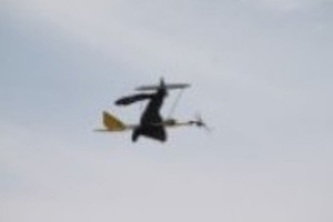 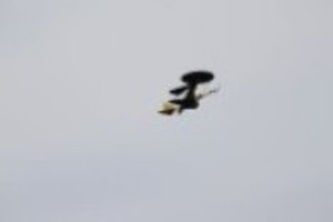 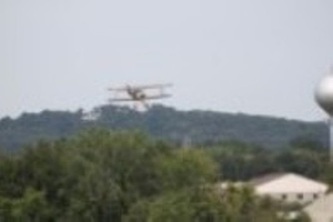 We also had a big Ultimate bi-plane flying most of the day. 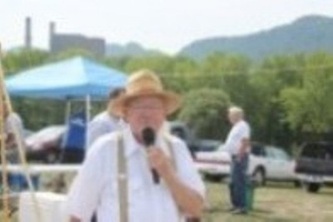 I never got his name, but he was great! 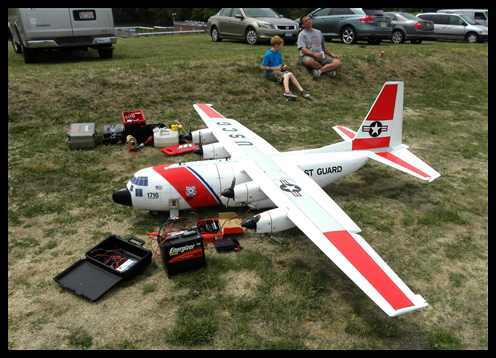 We also were treated to a BIG four engine C-130! 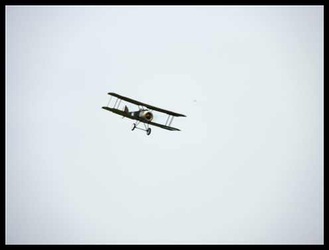 The low fly-bys were spectacular! 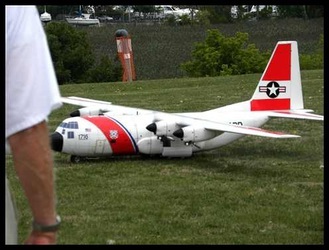 And when he finished with the C-130, the pilot brought out a HUGE Cessna 182. 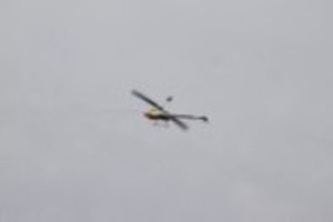 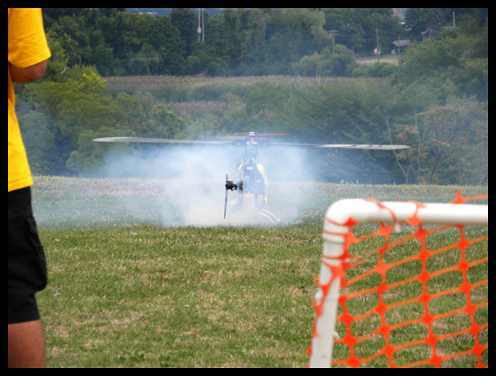 We were also treated to some great heli flying. The 3-D guys make it all look so easy. They treated the crowd to a fantastic show. 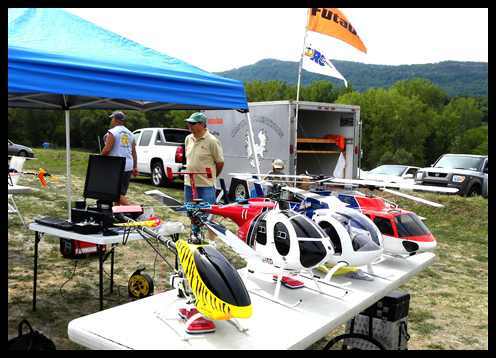 HVRCC's Safety Officer, Mark Smith, brought some of his scale heli's to the show. 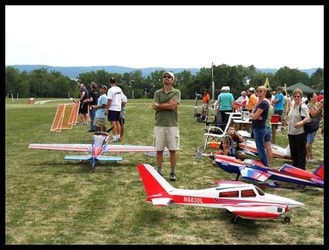 Mark does some fantastic work, and when he flys against the scenery at HVRCC, it is a beautiful sight. 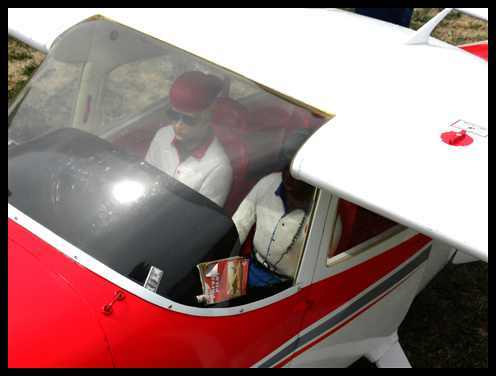 Mark also brought along a flight simulator to give guests a chance to fly painlessly. 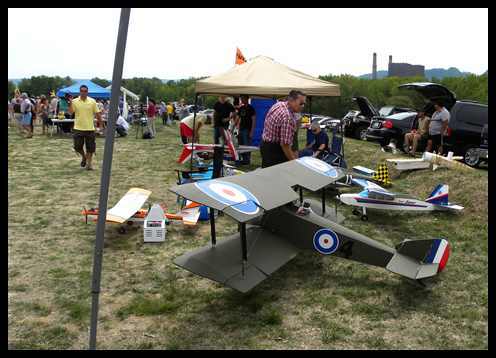 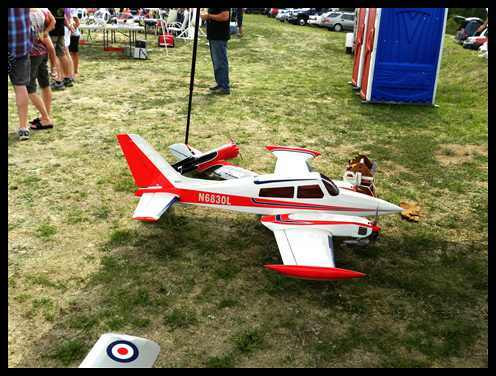 The club also recieved some generous donations from Hobby-Lobby, Futaba, Great Planes, Castle Creations and Horizon Hobbies. 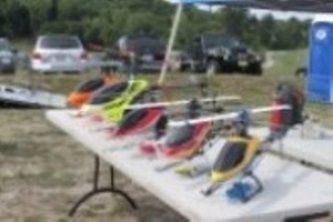 We had some great items to raffle off to the guests. We are truly grateful for their generosity. 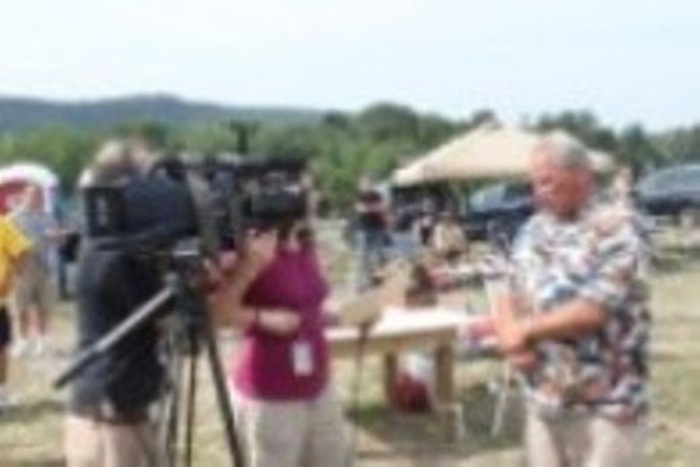 Cablevision was on hand to cover the event, as was The Journal News and the Rockland County Times. This event was a success because we had a lot of cooperation from so many people. I can never thank everyone enough for attending and making this event a success. I am already starting to think about next year's event.